Sporting events are happening throughout the year and it’s exciting to see how developing sports products can improve a sport’s safety, aid in training or create a new sport all together. With the Super Bowl, NHL All-Star break, NBA All-Star break and NCAAB March Madness all happening we wanted to showcase a few interesting products we have designed and developed for some of these sports. For the hockey fans The RIP CLIP, which helps aspiring hockey players learn the correct techniques to preform wrist shots. If you know anything about hockey then you know wrist shots are some of the most useful, accurate and difficult to learn shots in hockey. 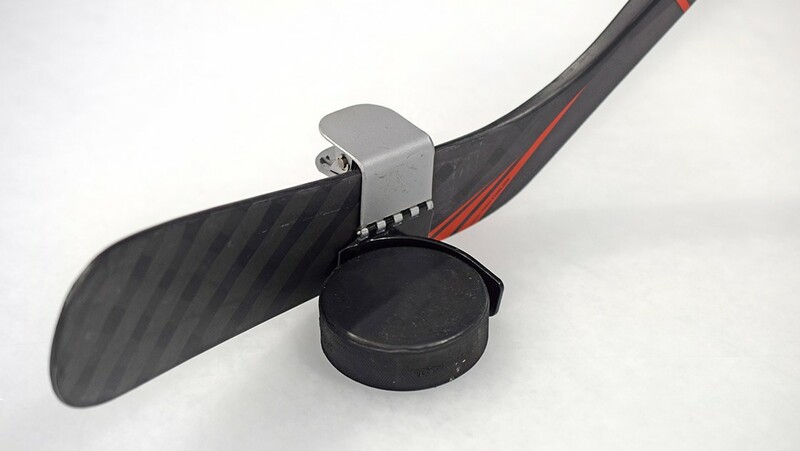 RIP CLIP helps keep the puck in its optimal position on the blade face until you are ready to shoot. It is very easy to clip onto your stick, taking only seconds to attach. Spark Innovations worked on everything, ranging from the initial concepts, patent, prototypes, logo, marketing material and presentations for pitching the project. For our next showcased project, Sparks engineering team were put to the challenge to solve a problem with a sports helmet mounted camera. Current cameras were not stable enough, difficult to assemble and remove easily from players helmets during play time. Our engineering team not only improved on the design, but came up with several options based on cost and appearance as requested by the client. Several prototypes were quickly made and provided for field testing. Finally for the rough sports fanatics’ protective gear is important. 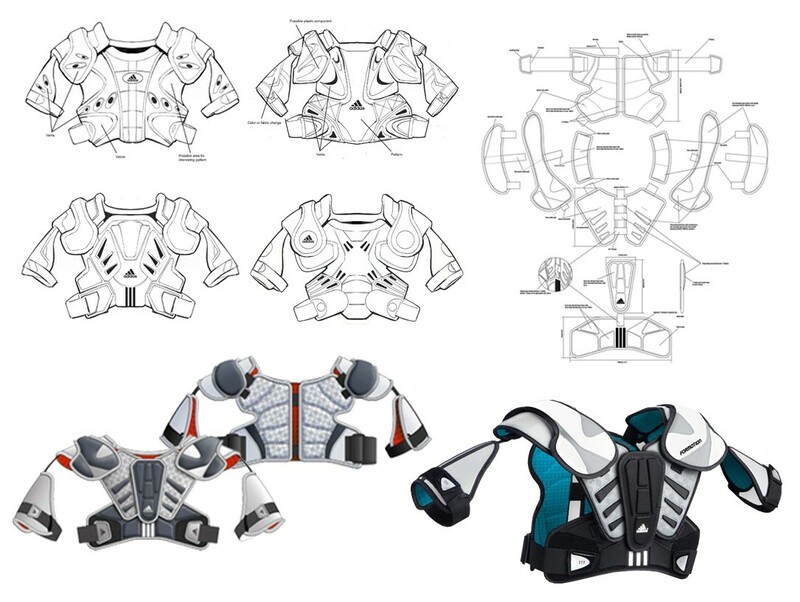 Sparks team of industrial designers developed these shoulder pads for lacrosse. They provide great rotational movement, improving range of motion and flexibility. Adjustable straps, front lacing, elastic hinges and contoured shoulder caps improve fit, range of motion and flexibility. 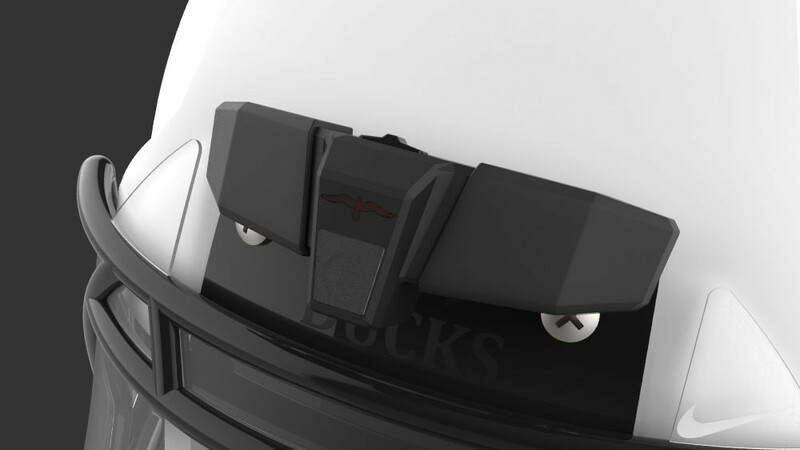 The low-profile, high-density shoulder caps allow for protection with minimal bulk fit. If you have a great idea to improve any sport product give us a call for a free consultation.